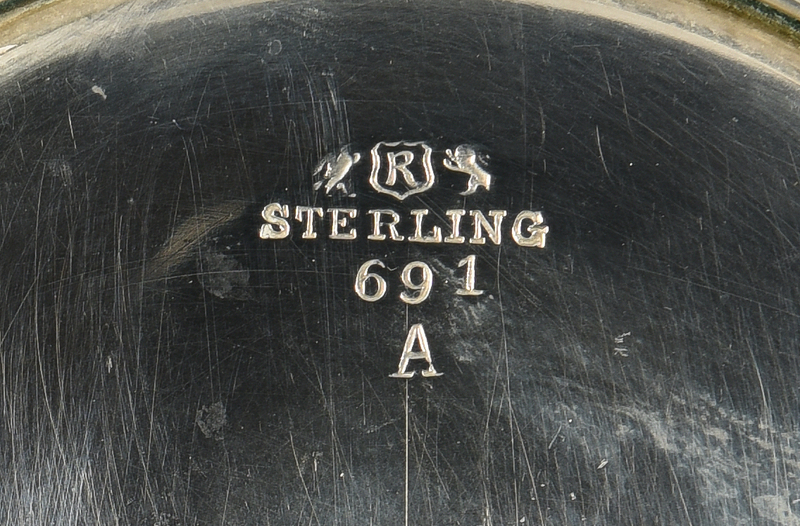 Group of sterling silver table items including S. Kirk and Son Jefferson bowl, marked 4110, 3″ H x 5 1/2″ dia. 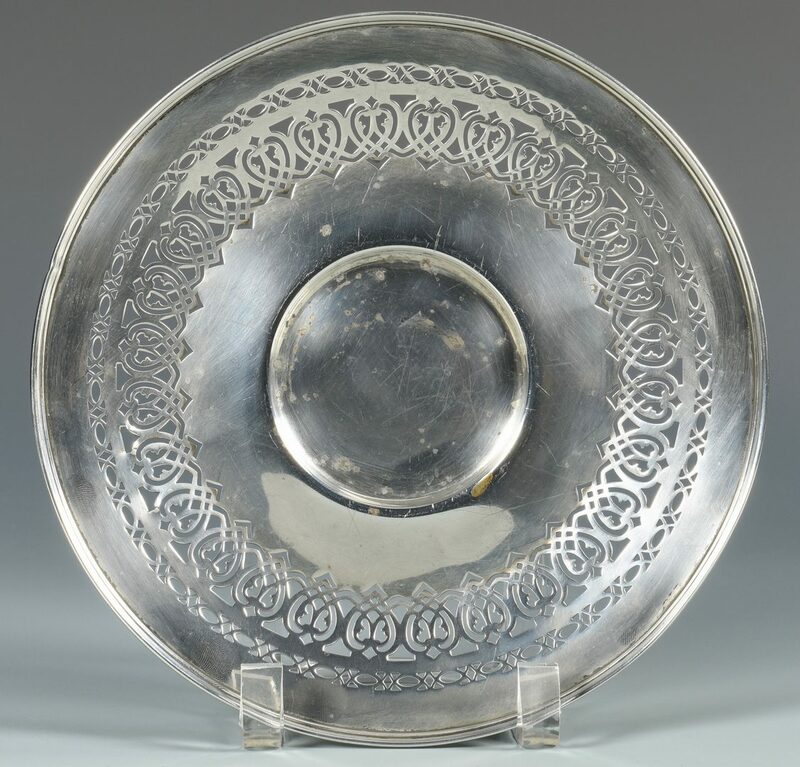 ; Reed and Barton footed serving plate with pierced rim, marked 691A, 9″ dia. 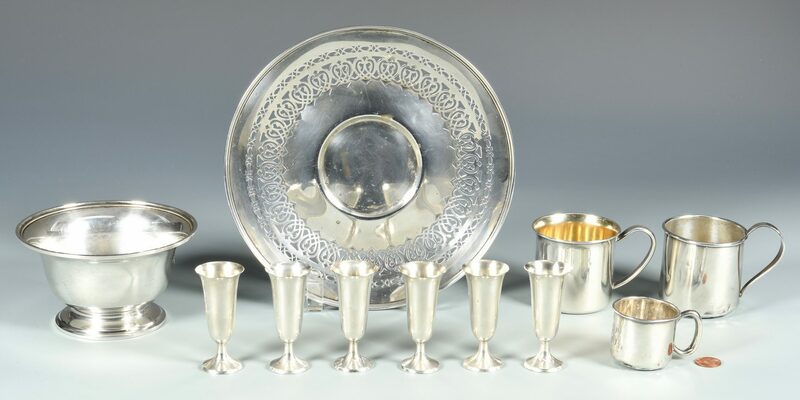 ; Lunt baby cup with gilt interior, marked 113, 2 1/2″ H; International baby cup, marked K113, 2 5/8″ H; Watson baby cup, marked 6477, 1 3/4″ H, monogrammed; Set of 6 cordials, marked WEB 21, 3″ H. 11 items total. 25.345 oz troy. 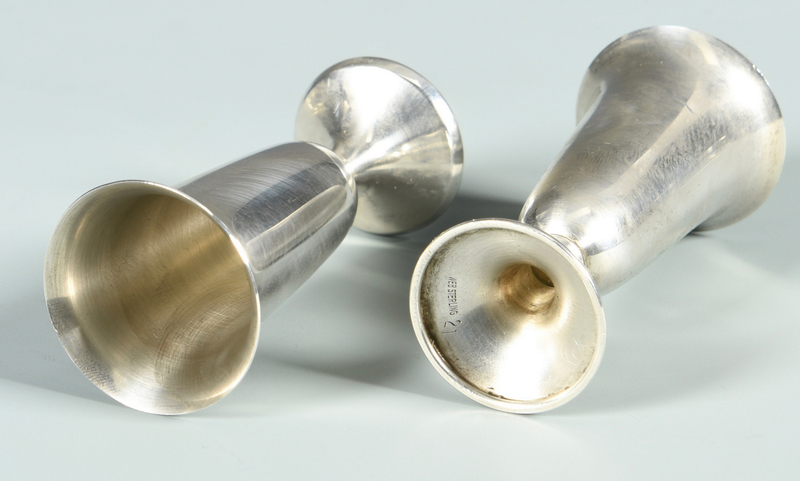 CONDITION: Kirk bowl, Lunt baby cup and set of cordials in very good condition. 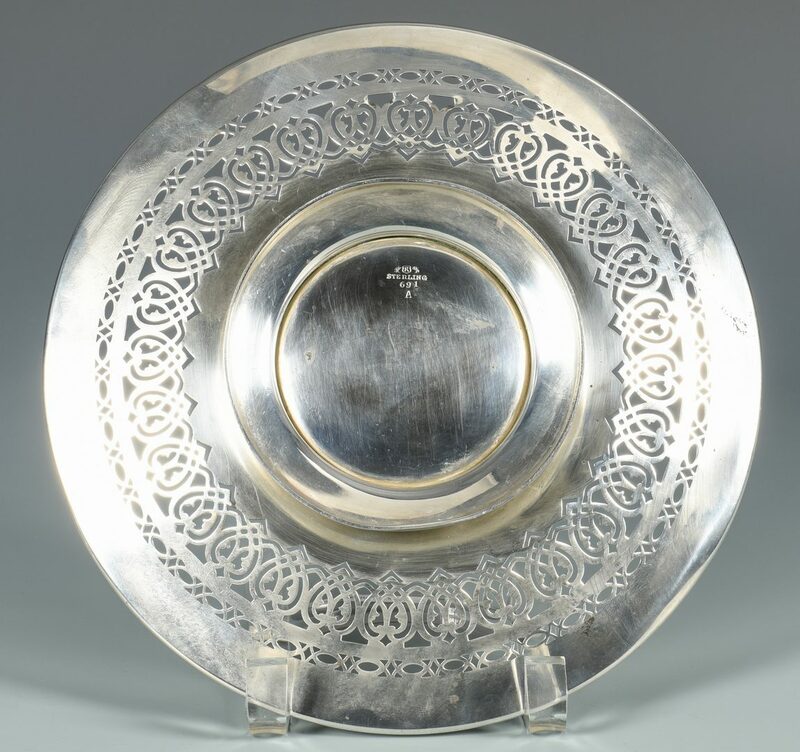 Serving plate and other cups with minor scattered scratches and/or dents. Smallest cup only item monogrammed.